Styled with baldwin top and sabrina jacket . When you want a '90s time machine. These are structured cargo pants with J pockets, knee patch detailing and a smocked elastic waistband. 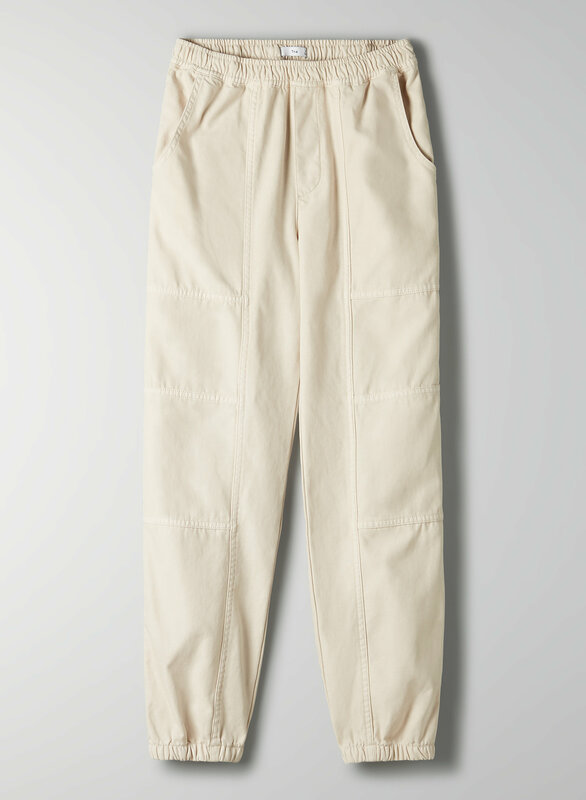 They're made with a heavy cotton twill that looks and feels like a linen blend.